1. 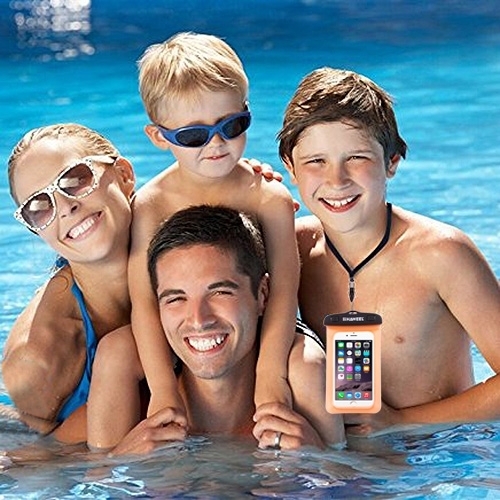 The case is made of environmental non toxic and durable high grade material. 2. 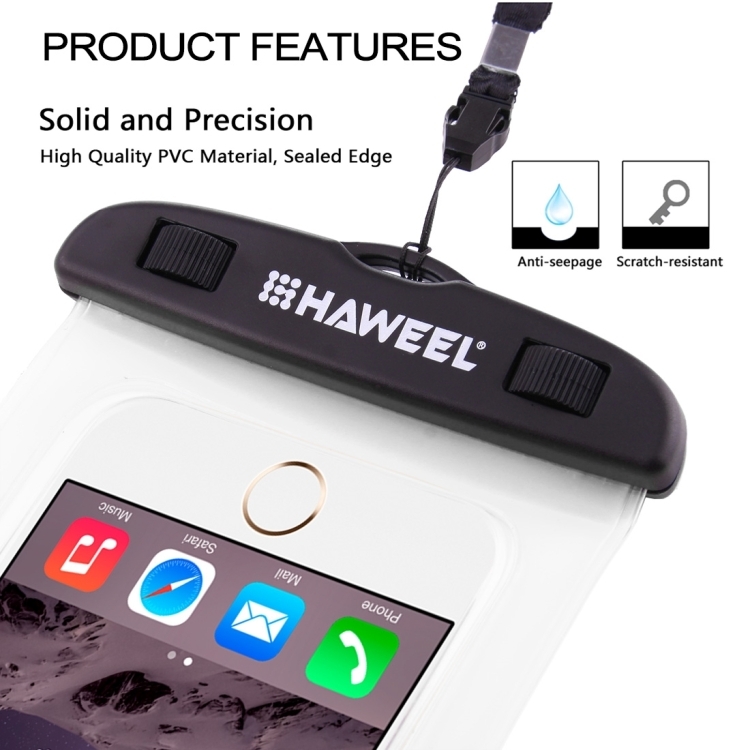 Lightweight and durable, creates a secure seal around your device and is completely waterproof and dustproof while maintaining full touch screen functionality. 3. 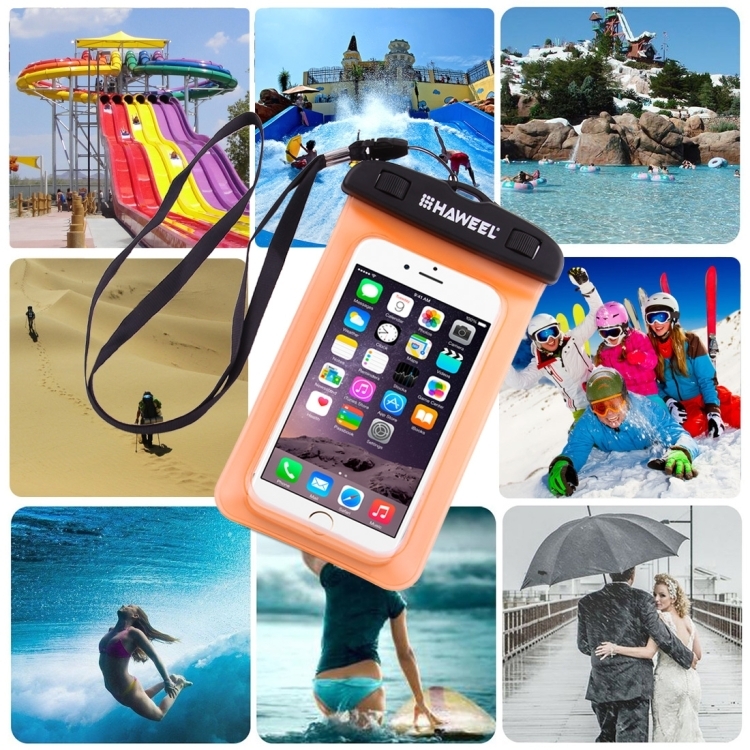 The waterproof bag allows you to comfortably operate the function of the phones under water, you can trust to keep your cell phone dry. 4. 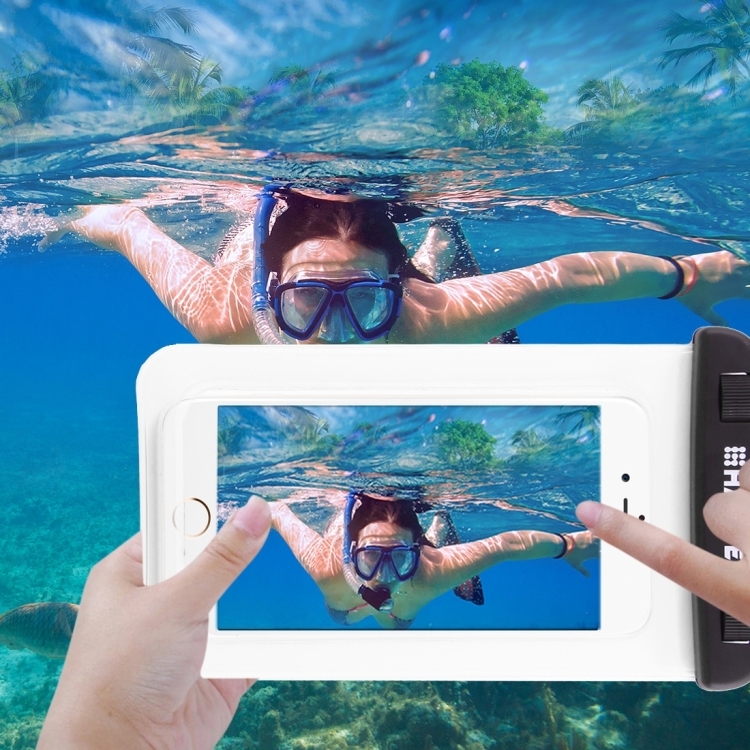 Screen-touch sensibility: The crystal clear transparent windows to both sides are made of super thin 0.3mm material, it is sensitive to touch, response, type and take photos and videos. 5. 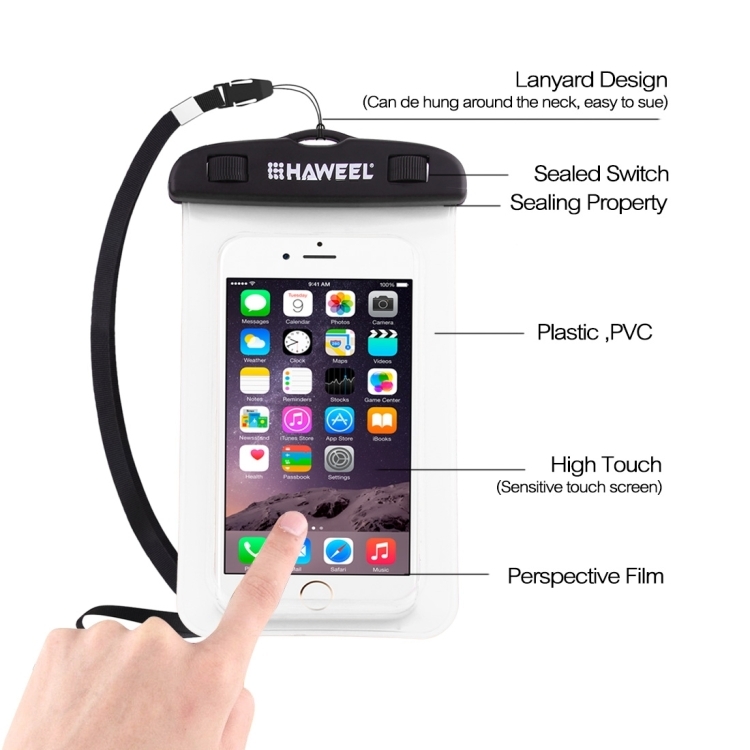 The dual swivel lock and resealable closure clip design give you a friendly experience when diving,swimming and other outdoor activities. 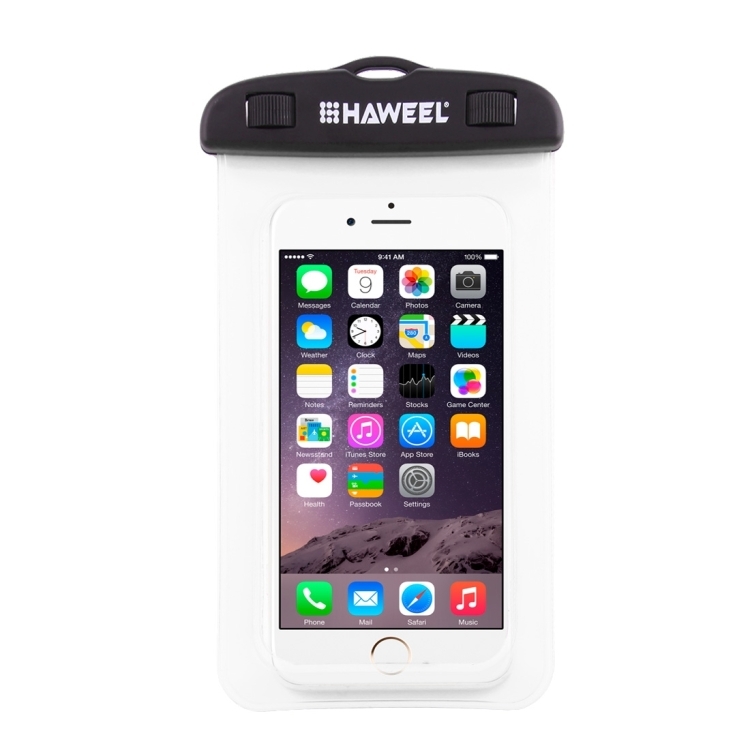 It provides protection for ID, credit cards, cash, MP3 player, phones, and keys from water damage. 6. Daily waterproof, rainproof, splashproof, dustproof protection for your device while maintaining full touch screen functionality. 7. 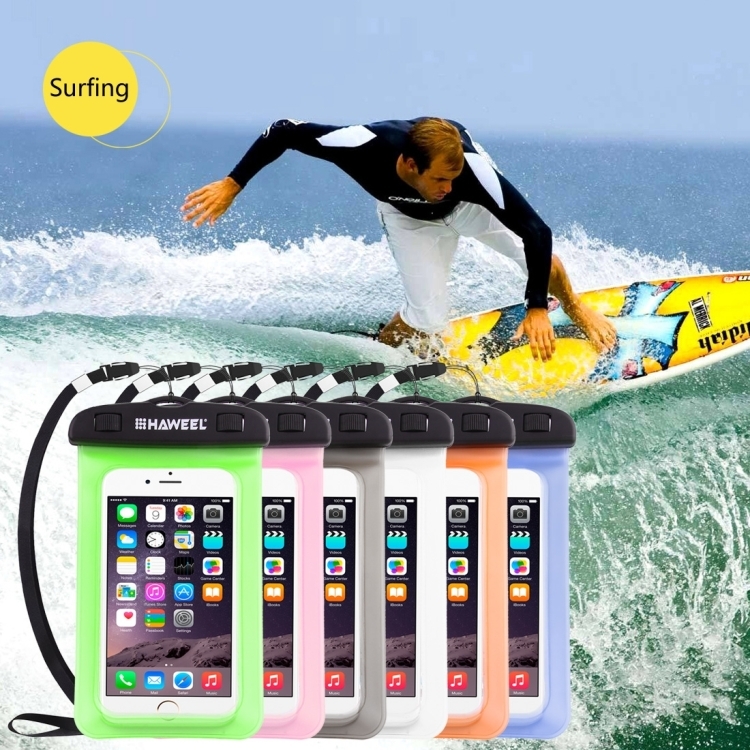 Suitable for camping, boating, fishing, surfing or any other water sport. 8. 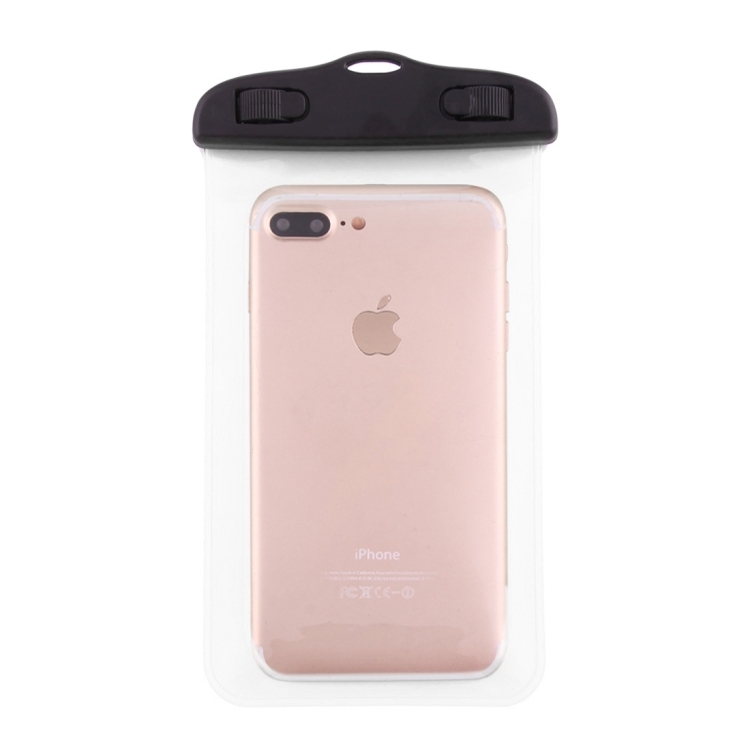 Compatible with devices up to 100mm x 170mm (clear window 70mm X 140mm); Comes with a neck strap for convenient carrying. 9. 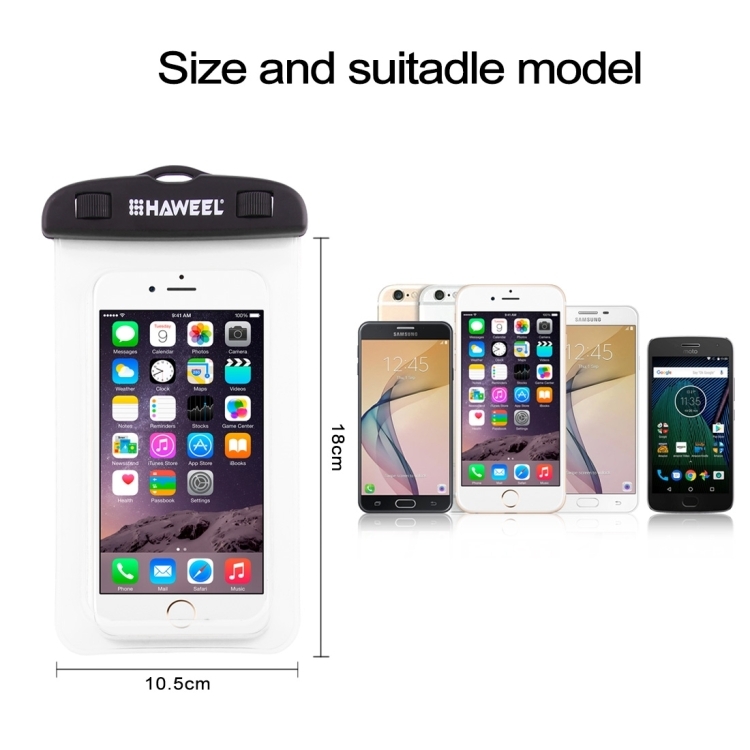 Compatible with iPhone 6 & 6 Plus / 6S & 6S Plus, Samsung Galaxy S6 / S5 / Note 5 and other mobile phones up to 6.0 inch screen. 1. Damage may occur during transportation. Please check for damage after receiving the product. 6. 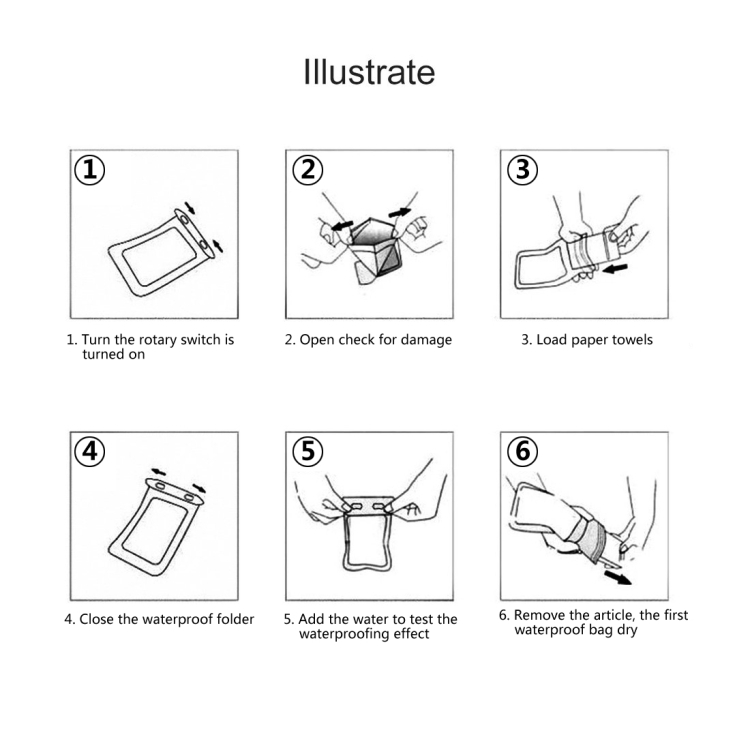 After using in water, if you need to take out the product, please put the sealing port downwards to avoid the water of sealing port or out of cover enter in.